Saturday night Andrey and I hit up Slate for our dear friend Polina's birthday. 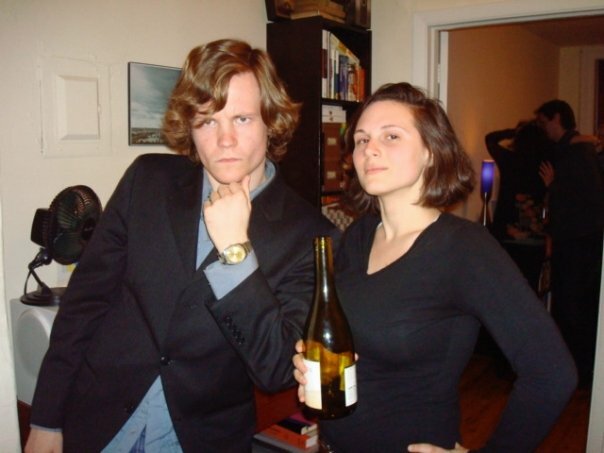 I would be remiss to mention that Polina brought Andrey to a party at my adorable Ksenia's back in college. We didn't reconnect for years, but that was the night we met. 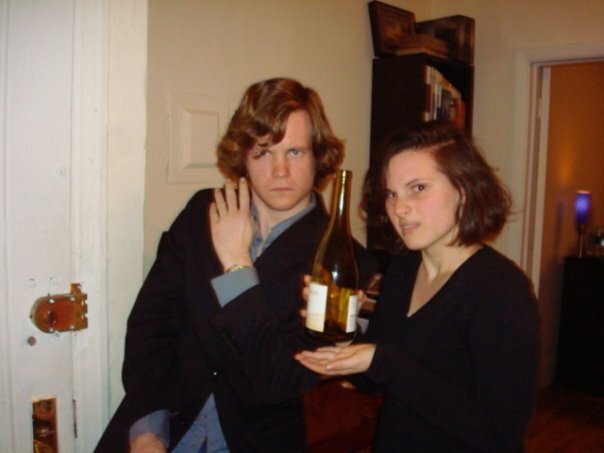 Yes, that is me back in my college days- short hair, weird face, posing with Tom. This is what I was wearing and how I was acting the night I met Andrey. Somehow he still asked me out (years later). Sidenote: why did my short hair work so well then? Now it was just impossible to manage that short. 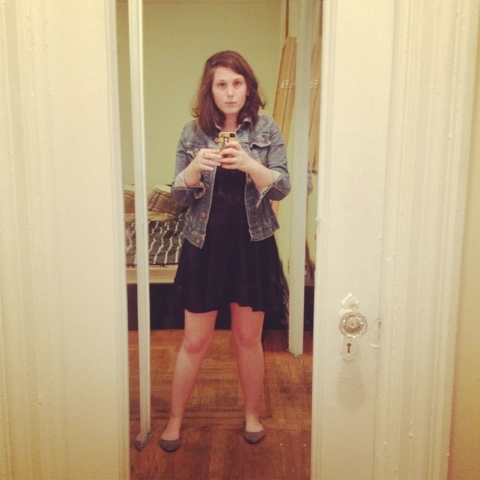 Anyway, here I am Saturday night right before we left for the party. I was wearing a pretty standard Jenny outfit. Very Gap circa 1990- my favorite time for The Gap. I was sorely under dressed for Slate- which turns out is more of a club than a dive bar. Just like I expect everyone to be nice, I expect every bar to be a dive bar- what can I say? I'm a girl who knows what she likes.